If you don't find the answer you're looking for - please email us at info@portcanvas.com or give a call - (800) 333-6788 - we'd love to talk to you. How heavy is your canvas? All weights have an industry standard variation of +/-2 Ounces. 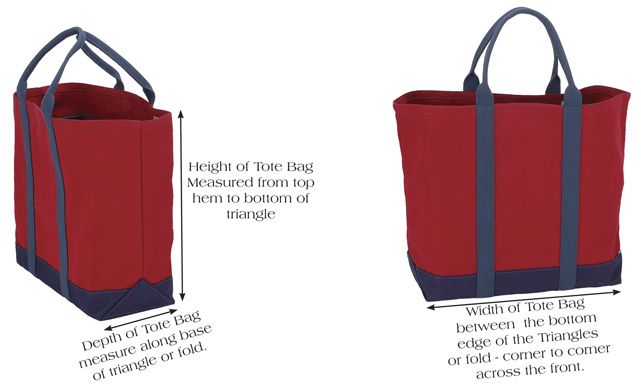 How is the double bottom color on tote bags determined? The second layer of Heavyweight canvas traditionally matches the selected webbing color except for natural webbing where the second layer will match the body color. How do I clean my Port Canvas Bag? There are two ways to clean your canvas bag. The first is to take stiff whiskbroom and vigorously whisk the bag. The second way is to take it to a dry cleaner. In years past, we use to recommend washing the bag in a washing machine. However, the new detergents used are much more abrasive and the results are poor. How do I install a Director's Chair Seat? All our Director's Chair seats are shipped with wooden dowels tapered at both ends. The tapering is required because we gather three layers of fabric at the front and back hems. Often this creates for an extremely tight fit which is desired to keep the seat in place. When installing a new Director's Chair seat, take a small hammer and pound/flatten the bulky ends at the taper. This should allow the seat to slide into the chair grove. What are our dimensional tolerances? Each bag is handmade start to finish by one sewer so each is unique. The Port Canvas Company's dimensional tolerance is +/- 0.5". 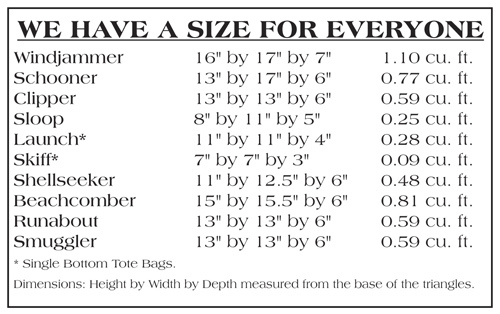 How do I measure a tote bag? Take a tote bag and turn it over and look directly at the bottom of the bag. For the width, measure between the two triangle bottoms. For the depth, measure the base of the triangle at the bottom of the bag. The height is measured from the base of the triangle at the bottom to the top edge of the hem. As you measure, keep in mind that 100% cotton canvas does not have a memory like synthetics. Once it stretches, it tends to stay stretched.